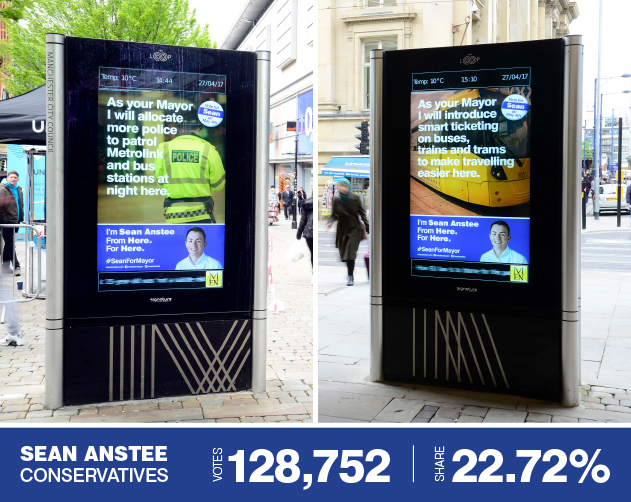 45 days before the Mayoral election Sean Anstee and his team visited We Are Brave with one single aim: to give the people of Greater Manchester a choice in the upcoming mayoral election. 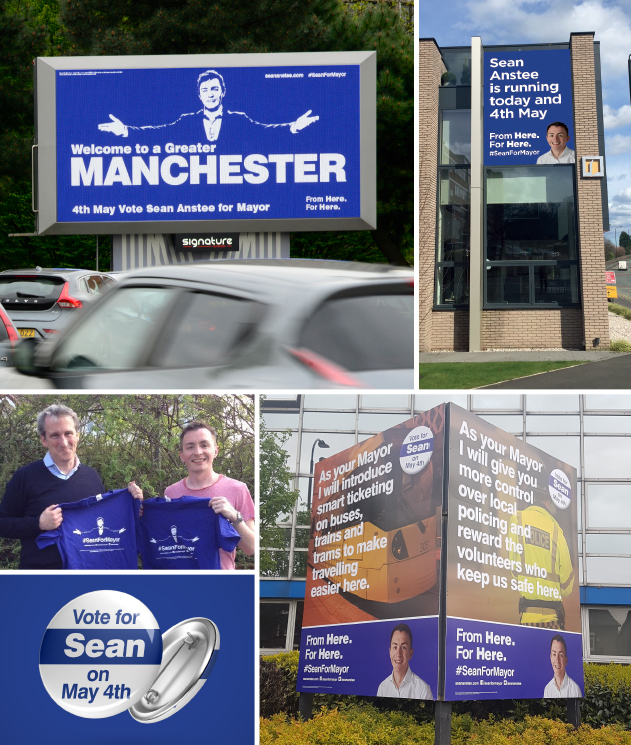 Win or lose, Sean wanted to make sure that whoever became Greater Manchester Mayor had to earn it. Before our campaign began you’d have been forgiven for thinking that there was only one candidate running for Mayor of Greater Manchester. Many believed that Labour heavyweight Andy Burnham would walk the election at a canter, with no challenge whatsoever. We needed to change this. 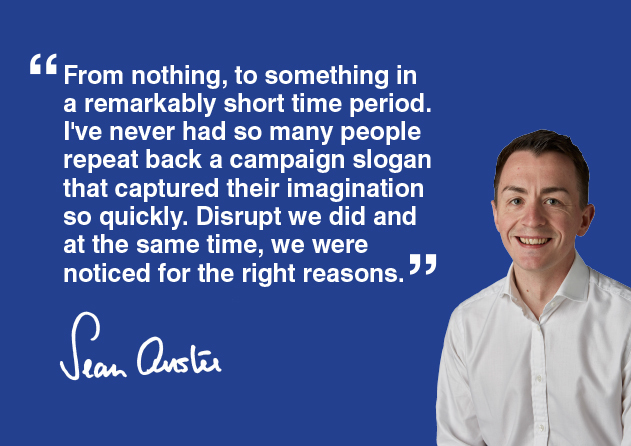 Public perception was that the election was Andy Burnham vs ‘the others’ but we quickly helped changed the landscape of the election, making it a battle between Andy Burnham and Sean Anstee. Sean had stepped out from the shadows and was taking centre stage in the election; grabbing headlines and causing debate. 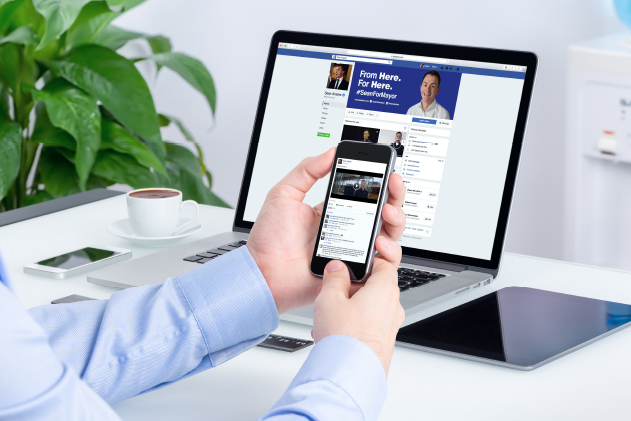 To engage with the electorate we needed to define a key ‘point of difference’. Something honest and true that spoke to everyday people of Greater Manchester. We identified Sean’s local heritage and love of his home as something we could use to contrast Burnham’s Liverpool-based roots and career-driven motives. This led to the coining of the powerful and memorable campaign slogan, ‘From here. For here’. Although Burnham did eventually claim victory, our campaign got people talking, helped raise awareness of the election and got 128,752 people living in a famously staunch Labour area to vote Sean at the polls (Almost double the total votes of the remaining 6 candidates – 78,631). With our help, Sean fought the odds and played a major part in the election. 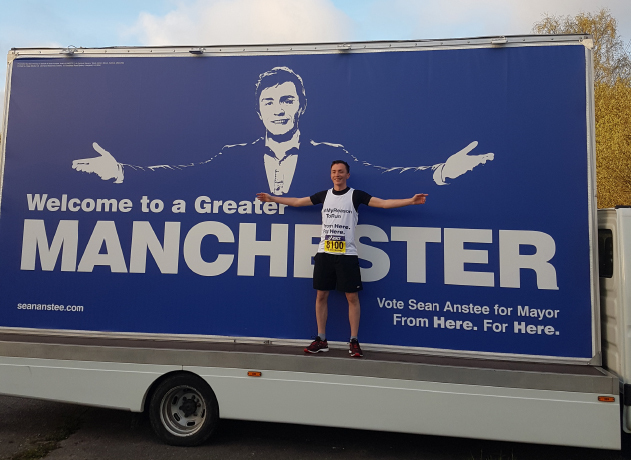 We’re looking forward to the next election and hope to see Sean Anstee continue to improve Trafford for many years to come.